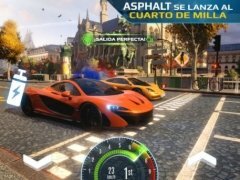 Asphalt Street Storm Racing is finally here. It's the latest development of the French studio, Gameloft, well-known for its racing game saga called Asphalt. 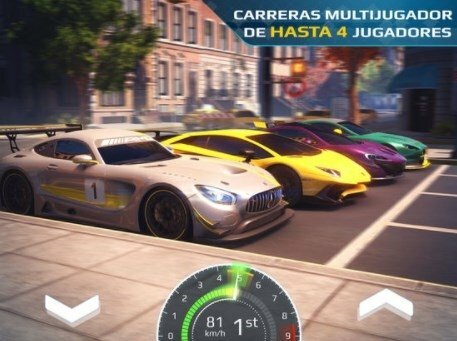 After coming along with wonders of the likes of Asphalt 8 or Asphalt Xtreme: Offroad Rally Racing, it's back trying to overtake all its competitors. Just like in the majority of racing games, it doesn't need a great story to be successful and the plot is the same old usual one: our main character is a newcomer to the world of illegal urban races and needs to beat different rivals to earn money, improve cars and purchase better models to reach the grand racing league and be able to take part in the best races. 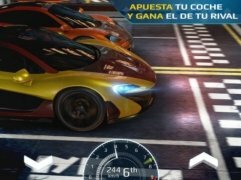 This Asphalt that we're talking about today for iOS, and that's also available in APK format for Android, is an online multiplayer game in which you can take part in short races of a quarter of a mile against three rivals from anywhere around the world. Although your car accelerates automatically, you'll have to change gears whenever necessary to speed up as much as possible and win the race. Accelerate and reach victory in each race. Short races in online multiplayer mode with four participants. 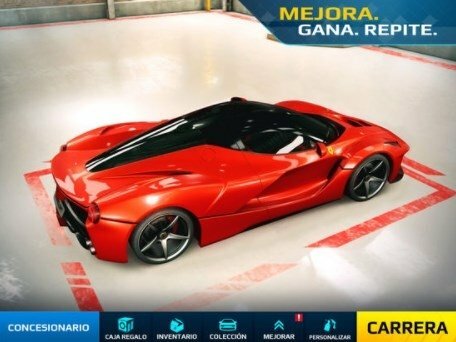 Includes a betting system before each race to earn money to improve your car. 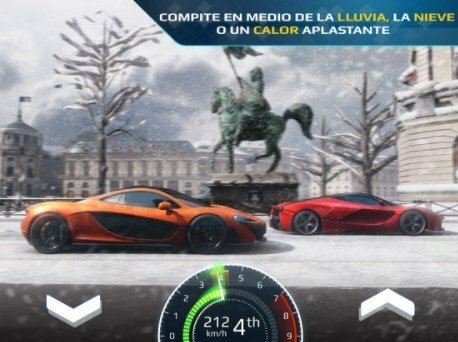 You'll have to adapt your driving skills to the weather. It may by sunny, rainy or stormy. Great graphics, with a cartoonish touch and natural light. 3D scenarios set in three huge cities: New York, Paris, and Hong Kong. Possibility to customize and improve the cars to the driver's own liking.